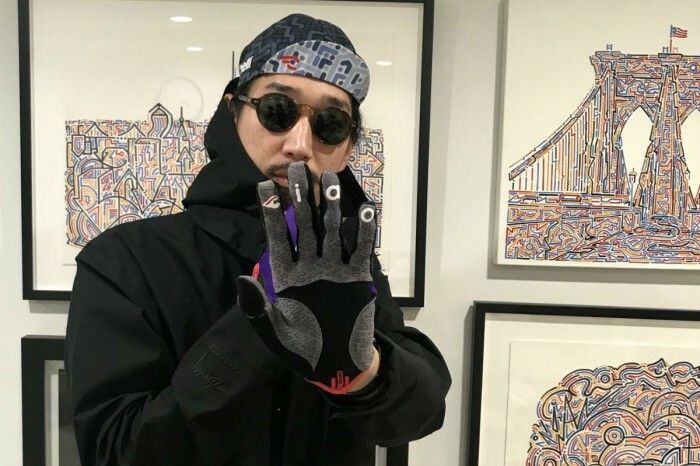 Yoon Hyup is a New York-based artist, who is inspired by the landscapes of cities, murals from the past, and music, such as jazz, funk and hip hop. He combines these inspirations into individual lines and dots in a freehand-style and composes unique paintings. From gallery exhibitions, public art projects to collaborations with global brands (Nike, Jordan, Rag & Bone, Tommy Hilfiger, Universal Music and Facebook). We caught up with Yoon and asked him about his inpiration for the cap and how he first got into painting and art. Tell us about what inspired you for the Cinelli cap? 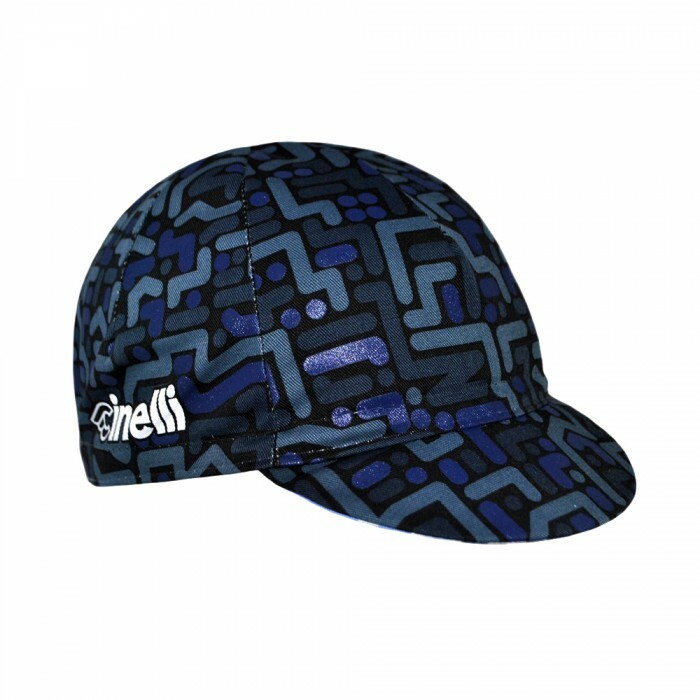 Cinelli cap pattern is a painting that describes my visuality and feelings while I bike around New York. Whenever I bike through various streets of big blocks or small blocks, I pictured the images of New York full of skyscrapers and kept those images in my mind as abstract maps. I just expressed those feelings on a whim without making a rough sketch. I chose the colors whose motive comes from the feeling of the evening in New York and the color of my own Cinelli bike's frame. My wife, Dohee helped me with the overall design and the color sense. I always do this kind of a collaborative work with my wife. I would like to thank Antonio, Alessandra, and Cinelli family who allowed me to take part in this project. I seemed to start riding a bike naturally as others did when I was nine. But it was not a normal bike riding. I used to cycle down the top of the mountain in my town or the stairs. You know, there is a famous motorcycle chase scene on Terminator 2. It seems that I used to imagine doing that kind of stuff. Breaking through the gratings with a motorcycle, or jumping off a very high place and landing on the ground. I am not doing dangerous performances with a bike anymore. Anyway, since then, a bike is my car. I have been riding a bike. What is your main bike for riding in New York? I ride a Cinelli Gazzetta Della Strada. I think that this bike fits my life pattern most so far. I am able to load up stuff that I need and it is really great that I am able to keep up the pace when I bike with my friends. How did you first got into painting and art? I do not remember exactly how I got into painting and art. It just naturally becomes my second nature. Actually, I learned to play the piano and violin. But I was bored with reading music, so I just created music on a whim in my way. At that time, I got scolded by my music teacher because I did not play with a score. I held out for around 8 years and eventually, I dropped it. So when other kids played with a score, I enjoyed draw by myself, listening to the music that they played. Not at an art school but at a music school. I was a kid who listened to Wu-Tang clan's songs, rode a skateboard, painted a picture, and liked to make something out of dumped paper boxes. Others did not understand what I was doing back then. When I was twenty, I majored in computer graphics at college. Thanks to that, I sold T-shirts that I designed, created an album cover for my producer friends who grew up in the same neighborhood, displayed my paintings, and did a live painting a lot at parties that my DJ friends hosted. I did not plan to become an artist. Painting is just what I like to do and while I did what I like, I met various people and went painting from place to place. Finally, I ended up living in New York paint pieces and murals. As I have always listened to music since I was young and listening to music is one of the most important parts of my inspiration, I'm always with Jazz, Funk, and Hip-hop.